This weekend saw two major milestones for the little Cherokee. 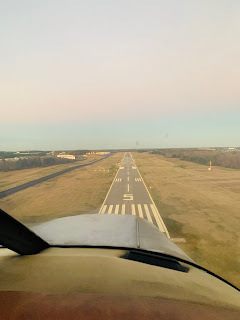 First was a flight lasting 1.2 hrs which is to date the longest single flight of the Cherokee, second and most excitedly today we were able to leave the pattern for the first time. The Cherokee was able to perform all of the 'standard' manuevers for the first time. Slow flight, stalls, and steep turns. Next up will be a short XC to a nearby airport! 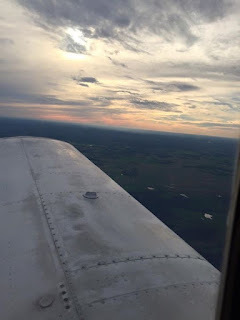 Also, and most importantly I was able to use the plane to achieve one of the goals I had set which was to share the joy of aviation by giving someone their very first airplane ride. Being able to share the joy and fun of general aviation with others has always been one of my goals. 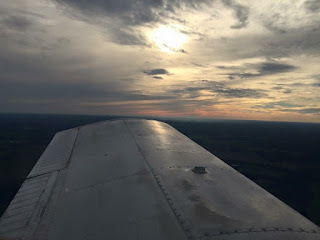 Just found your blog, bravo for setting a fine example for those of us who've always wondered about "that airplane" forlorn on a field somewhere!